Mark Kingseed has more than 34 years of experience in labor and employment law and has handled hundreds of cases defending corporate clients before agencies, courts and arbitrators. He handles the full range of employment-law issues including: providing preventive-law counseling, developing and delivering training programs, helping clients develop and implement performance- management and risk-reduction policies. He has extensive experience developing and managing union-avoidance programs, conducting campaigns and providing collective bargaining support. Mark was named an Ohio Super Lawyer by Law & Politics magazine, which honors the top 5% of attorneys in the state. Since 2009, Mark has been selected by his peers for inclusion in The Best Lawyers in America® in the fields of Labor Law - Management and Litigation - Labor & Employment. In addition to his legal expertise, Mark has extensive managerial and Human Resources experience. This skill base gives him a unique perspective for analyzing clients' legal problems and offering practical business-oriented solutions for them. For more than 15 years, Mark served as in-house counsel for a U.S.-based Fortune 100 multinational company. Managing up to 15 professional and clerical employees, he led the company's commercial litigation and labor/employment law department. He was also a member of the company's Human Resources Leadership Team, serving as one of the decision makers on every strategic Human Resources initiative the organization developed. Mark also has wide experience in Municipal Law due to his legal practice and his service as an elected Councilman in Centerville, Ohio from 1990-2003 and as Mayor from 2004 to the present. Mark has represented public sector clients in union elections and negotiations, in personnel disputes, and through his service in Centerville. 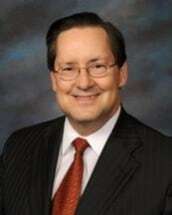 He has extensive experience dealing with zoning, eminent domain, and development issues. In particular, he has managed numerous public hearings, highly controversial matters, and can assist clients in obtaining government approval of development plans in the face of initial opposition. Mark served as Councilman for the City of Centerville from 1990 until 2003. He was elected Mayor in 2003. In this capacity, he has extensive experience with the full range of public-law issues affecting municipalities and local governments.